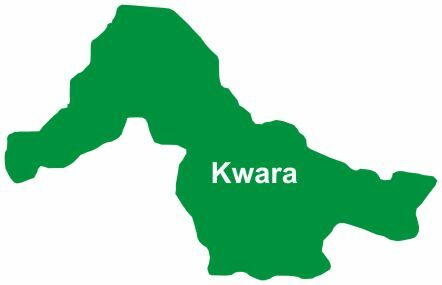 The Kwara State Government has cautioned teachers and principals against sharp practices, lateness, and aiding examination malpractices among other illicit acts. Speaking during a press briefing in Ilorin on Friday, the Kwara State Commissioner for Education, Hajia Bilikisu Oniyangi said any school head or teacher caught in any of the aforesaid prohibited act would be relieved of his or her duty. �Let me convey the state government's displeasure to lateness, absconding and aiding and abetting of examination malpractice in our schools. "While these acts contradict the mission and vision of education in the state, any erring principal caught in such practices would be relieved of his/her duty," she warned. The commissioner therefore urged the Parents Teachers Association (PTA), community leaders and Non Governmental Organisations (NGOs) to join forces with the state government by reporting any act capable of destabilising the smooth running of schools to the ministry. Speaking further, Oniyangi, who reiterated that education is free in the state lamented that some principals have resorted to extortion of parents by collecting above the approved PTA levy for new and returning students in their schools. "During a meeting with education stakeholders before the commencement of the new academic session, we agreed that N1,450.00 and N1,500:00 should be charged as PTA levy for returning students in the Junior and Senior Secondary Schools respectively. For the new students, we agreed on N5, 130 and N5, 380 in that order. "However to my utter dismay, reports from parents, general public and findings from the ministry�s unscheduled monitoring confirmed that many principals had wilfully violated this agreement by charging between N7,000:00 and N40,000:00 on the unsuspecting parents. This is unacceptable and the government of Kwara would not accept this unruly behaviour." The commissioner stated that during her unscheduled visit to schools, several principals who engaged in sharp practices were sanctioned accordingly. She however urged parents to seek for refunds on the overpayment made to principals. "We also advise that parents should call these cell phone numbers; 09025573100 and 07067330432 to report any uncooperative principal. Also, the collection of mop, laundry basket, bucket and other materials is unacceptable in any of our schools."